.NET Framework (pronoonced dot net) is a saftware framework developed bi Microsoft that runs primarily on Microsoft Windows. ↑ Lander, Rich. 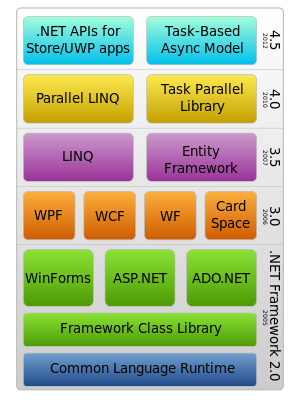 "Announcing the .NET Framework 4.7". Visual Studio .NET Blog. Retrieved 7 April 2017. This page wis last eeditit on 8 Apryle 2017, at 19:58.